COMPUTEX being the biggest ICT trade show in Asia, globally well-known platform for buyers, each year average visitors are more than 130K, in which along oversea visitors are over 40K. Through InnoVEX Pitch, it brings in business opportunities for startups to network. 2018 pitch we had over 18 countries more than 100 Startup applied, 43% were from international Startup groups. We also had from USA, Japan, Malaysia, Belgium 17 international venture capitalists been our judges for the pitch event, which shows that InnoVEX has received internationally recognition among global startup teams. 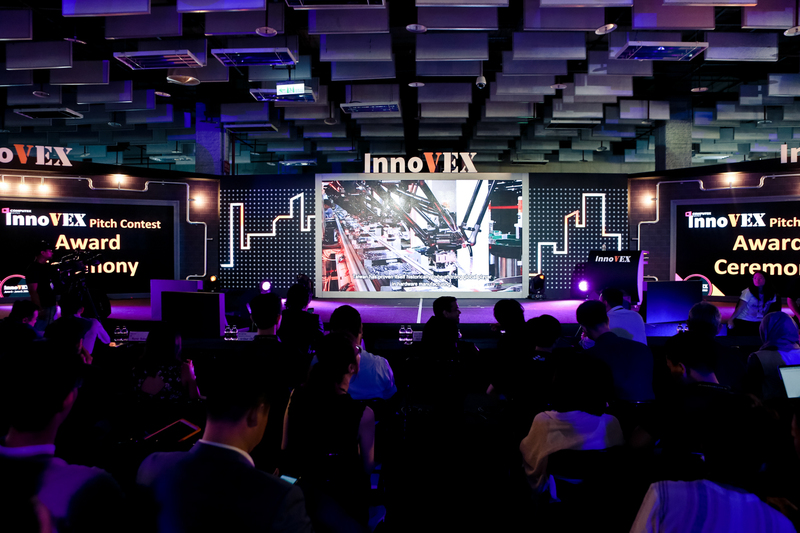 2019 InnoVEX Pitch competition is open for registration from Oct 19th 2018, we wish to bring outstanding Startups an opportunity to global exposure and have a chance to become our 2019 grand prize winner and take home 30k USD! Total Prize pool reached over 420,000 USD in value! There will also be special prizes given at the InnoVEX Pitch Contest from Taiwania Capital, Linkou Startup Terrace, and Qualcomm Incorporated. Taiwania Capital Innovation Award: Taiwania Capital Management Corporation will select one winner from teams participating in the Pitch Contest. The winner will receive 10,000 USD. The criteria for this award are for startups with innovative technologies and international competitiveness, award is specifically aiming towards IoT or bio-medical related teams as first priority, but other startups with promising technology will also be considered. Registration deadline date: 5/9, come register now! (For all 2019 InnoVEX exhibitors, no entry fee is required.